One basic principle of marketing is to be where your customers are, these days your customers are spending most of their time online. Research shows that Australians spend about 10 hours online daily. If your business could use more leads and customers, SEO is a long term strategy that can attract visitors to your website without paid advertising. 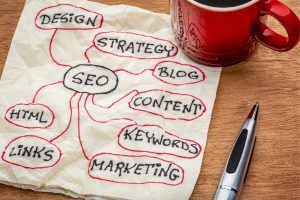 This article explains the basics of SEO and how you can use it to grow your business. Search Engine Optimisation (SEO) is the practice of creating a website that it is easily found by Google and other search engines. 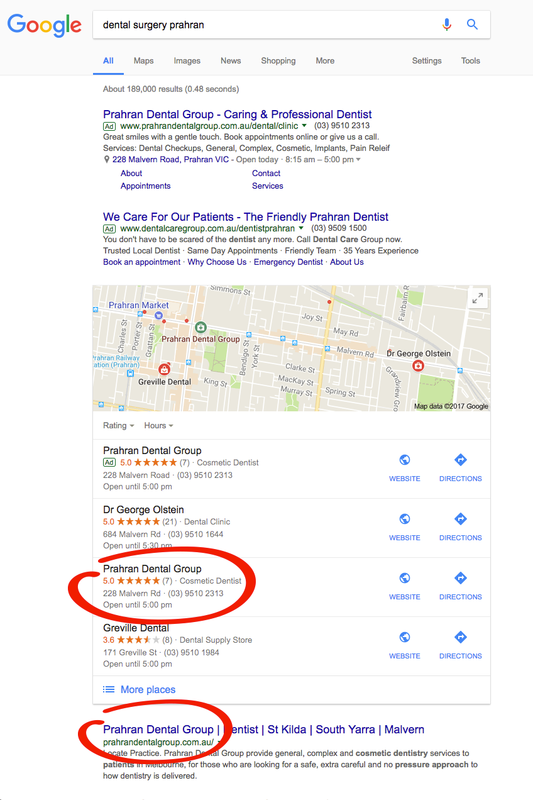 In the image below, you'll see a listing of dental surgeries in Prahran. The listings circled in red are examples of organic (non-paid) listings, which SEO aims to create. The first page of Google results is competitive real estate. 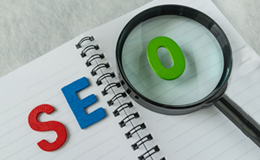 Businesses who do SEO well will have the most visibility. SEO involves a range of tactics which may include a blog and website copy changes. It can also include improving how fast your website loads or changing how certain things on your website are labelled. It’s a long term strategy that can drive people to your website without paid advertising. The number of high quality websites that include a link to your website. For example, if your business is featured in news.com.au or Yahoo.com.au and the article includes a link to your website, Google would see it as a back link. Want to know how many back links your website has? Connect with our team for a complimentary assessment. Google may be the world's biggest search engine but it is still a business. Their goal is to provide their customers with the best search experience. High quality content i.e. articles, videos and product pages that answer a person's search queries can help your website appear higher in Google search results. Your website may look great but if people can't find what they're looking for, they'll likely leave. A well designed website should be easy to navigate and accessible from different devices i.e. mobile, iPad, desktop...etc. Over 60% of search are done through a mobile phone and Google wants to create the best experience possible for its customers. The ranking factors are constantly evolving so that Google can deliver the most seamless experience for its customers. It takes consistent maintenance which is why SEO is often known as a long-term strategy (6 months or more) with very few instant rewards. If you’d like to see how your business is ranking in Google, our team of online solutions advisors can give you a guide on what you could be doing with your website right now to have your website showing up in Google searches.